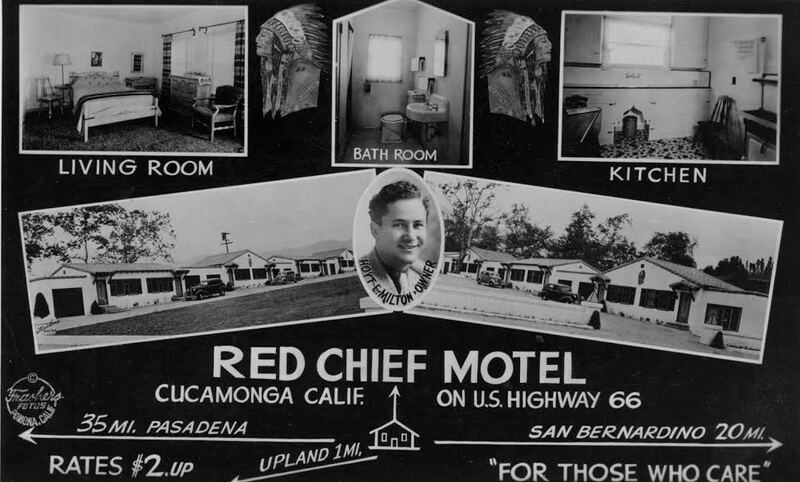 The Red Chief was in business on Route 66 in Cucamonga, pre-Rancho, from 1936 to 1977, although from 1962 on, it was the Sycamore Motel, reflecting its neighbor, the Sycamore Inn, according to phone directory listings. 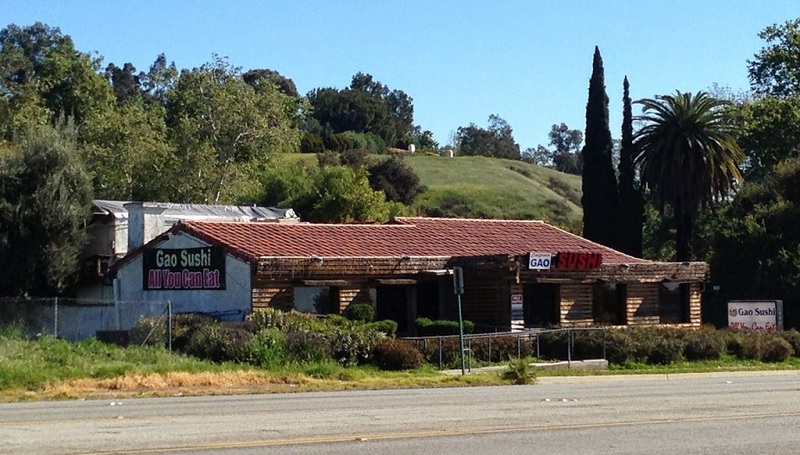 The office/restaurant building still exists, if heavily remodeled, as Gao Sushi. 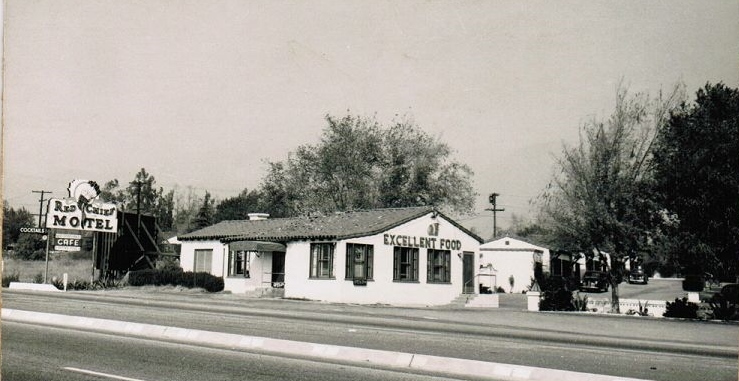 The photo above comes from the Model Colony History Room of the Ontario City Library. The view above is looking east on Foothill. The photo below, courtesy of the Gentleman Racer blog, shows the building last year, before the Notice of Filing sign for development went up. Now compare these two photos — above, from Marilyn Anderson’s Hometown Spirit newsletter; below, from Michelle Lindley — taken from the same vantage point but some time apart and with crucial differences. 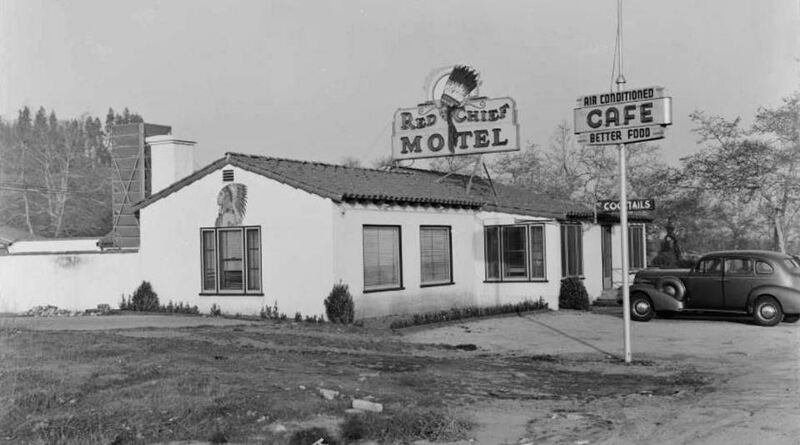 The Red Chief sign has moved off the roof and to the roadway, with the cafe sign incorporated beneath; also, the motto “Excellent Food” has been added to the building. That’s all I noticed, except to observe that the photo below was taken on a hazy or smoggy day, as the mountains have disappeared. The remaining images come courtesy of Jane Vath O’Connell. 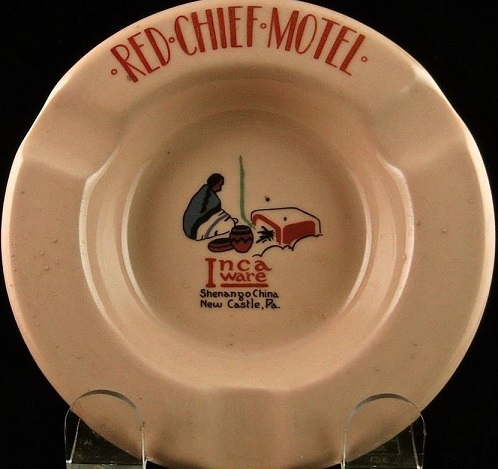 Lindley has a photo of the ashtray too, and as her grandparents owned the motel in its latter years, I’ll accept it as genuine even though it seems generic. 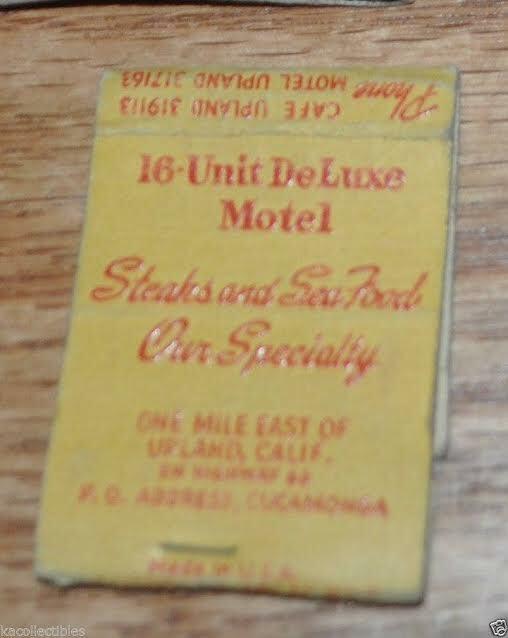 Do you have any memories of the motel? Post a comment for posterity’s sake, please. This reminds me of something that would have been in the “Cars” movie. I have no memory of it, because I wasn’t around this area then. But $2 a night! Wow! It was more fun to stay in places like this. Too bad you didn’t contact me, Dave. 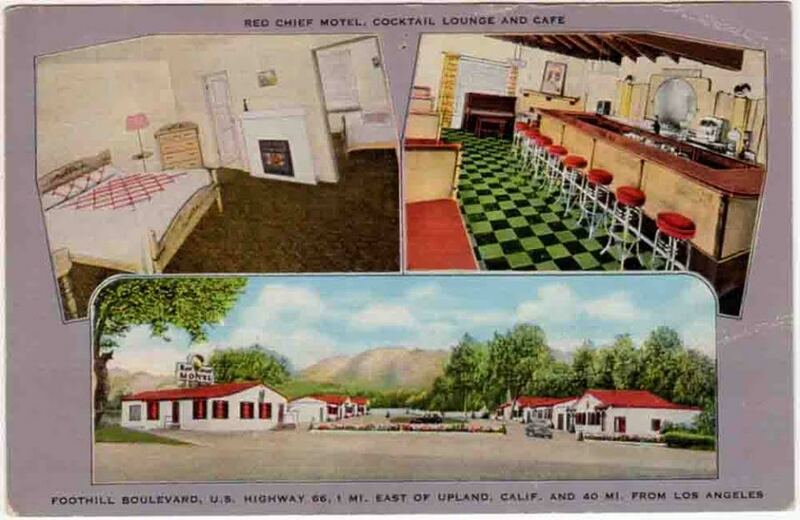 I have a couple interior shots of the place from the 40’s and 1950.